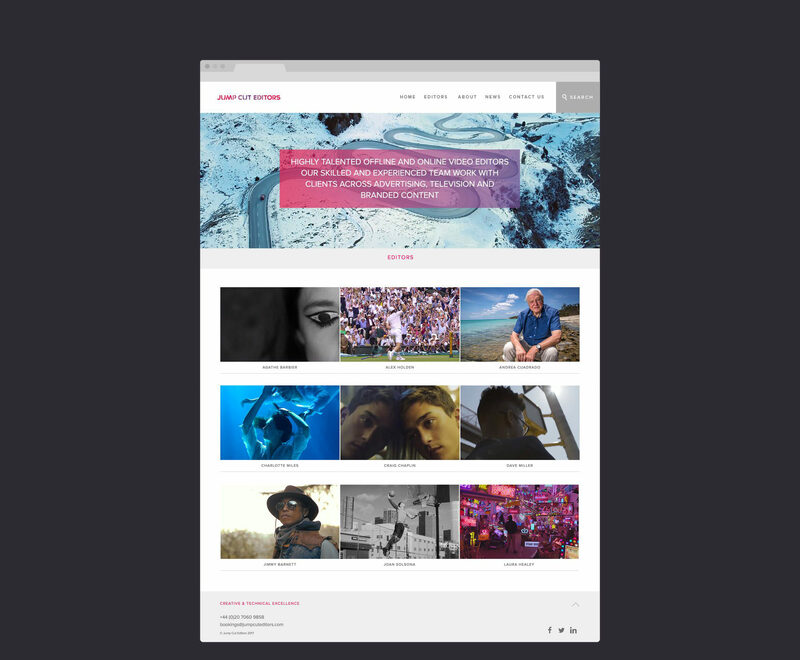 Website design and build for highly skilled and experienced film editors agency. 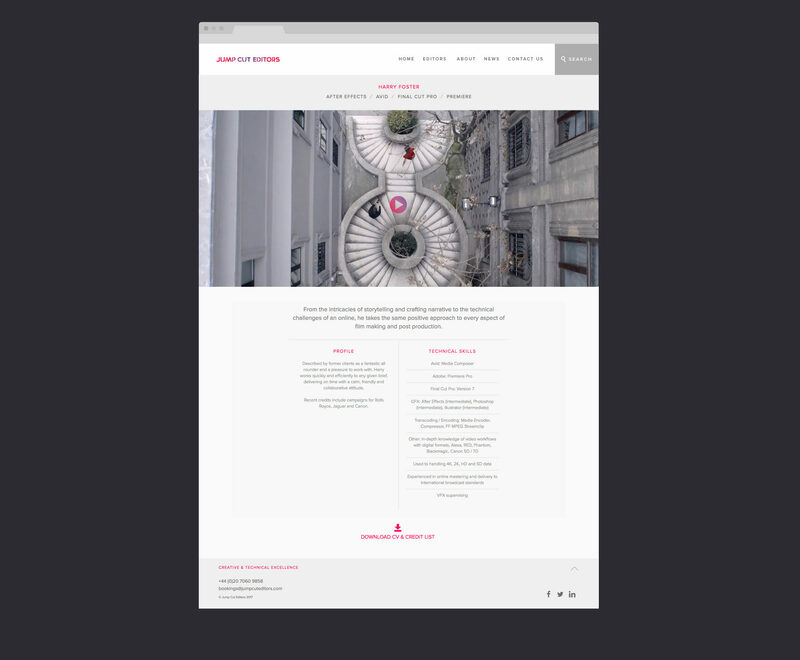 We were asked to redesign the website for Jump Cut Editors, who provide clients with highly skilled and experienced editors. Their talented roster includes award-winning editors who consistently produce work of the highest standard across all genres. As their list of editors list grew, along with impressive client list, they needed to refresh and restructure their website to clearly exhibit the repertoire of work and skillsets their editors have to offer.